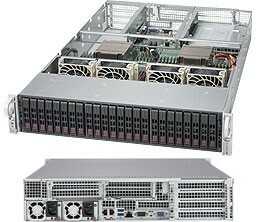 The Supermicro 6028UX-TR4 Ultra SuperServer is a 2U Rack Server with Redundant Power, 12x 3.5" SATA Hot-Swap Bays, and Quad GbE. 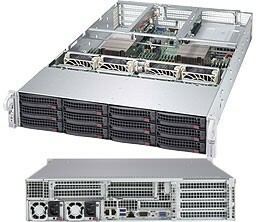 Supermicro's latest SuperServer product line designed to deliver unrivaled performance, flexibility, scalability, and serviceability that is ideal for demanding Enterprise workloads. 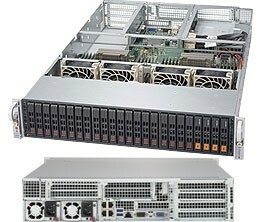 The Supermicro 6028U-TR4T+ Ultra SuperServer is a 2U Rack Server with Redundant Power, 12x 3.5" SATA Hot-Swap Bays, and Integrated Quad 10GbE. 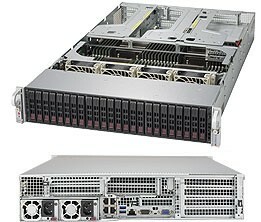 The Supermicro 2028U-TRT+ Ultra SuperServer is a 2U Rack Server with 24x 2.5" SATA Hot-Swap Bays, Redundant Power Supply and Integrated 10GbE.